The Cape Peninsular is a stunning place to visit and guarantees the visiting birder endemic species and photographic opportunities galore. With gales sweeping into Cornwall at the moment a review of images from birding trips abroad is a sure way of bringing a spot of instant sunshine back. 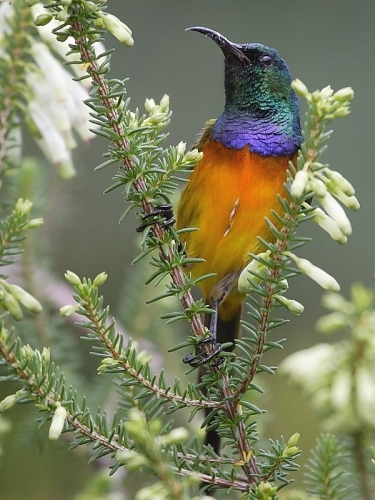 The stunning Orange-breasted Sunbird is endemic to this southerly tip of South Africa and were seen every day during a two week stay on the Cape. This image was taken in Kirstenbosch Gardens in Cape Town but we would even wake up to them noisily contesting the garden feeders – not a bad way to start the day!